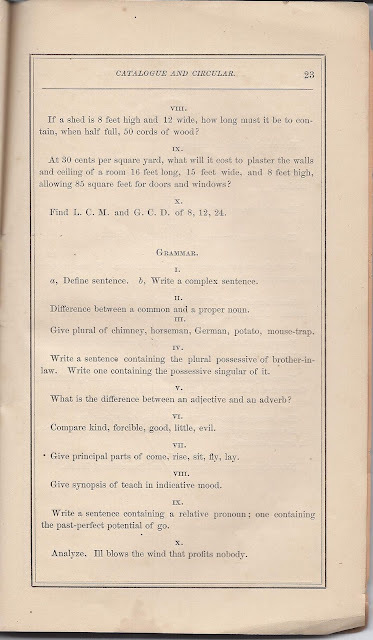 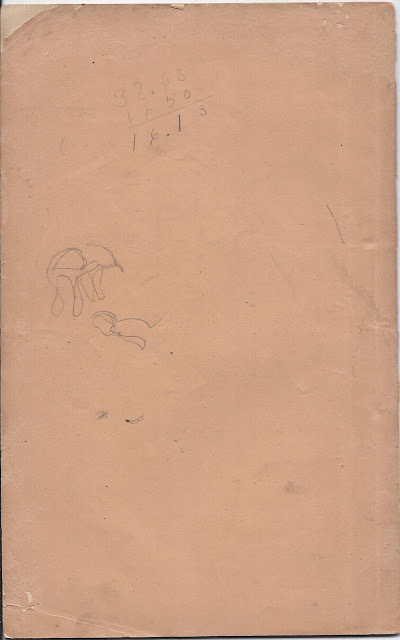 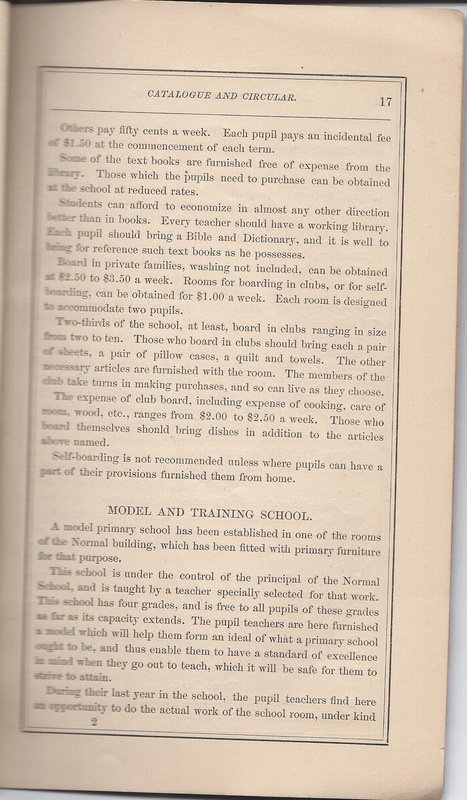 Booklet of 24 pages, approx. 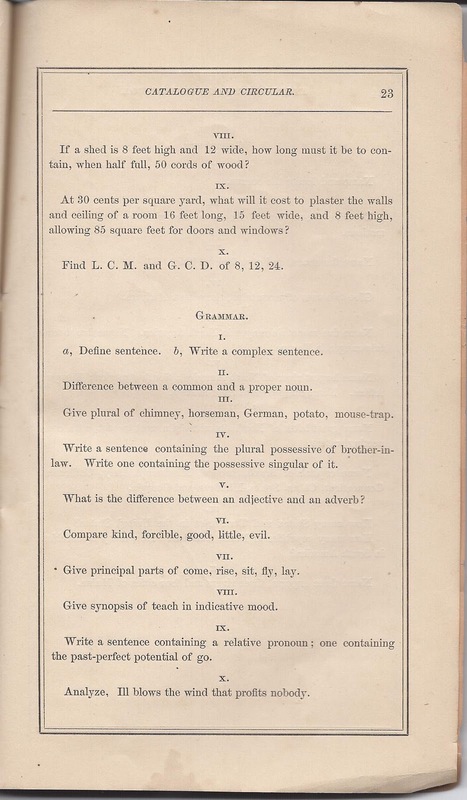 9" x 5-3/4". 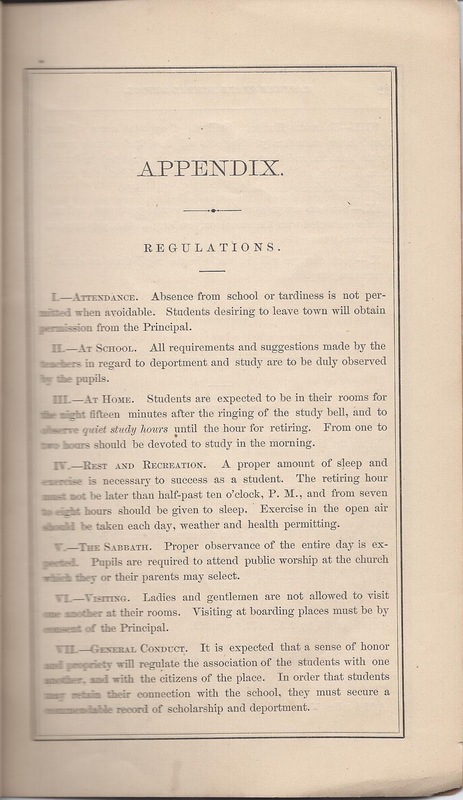 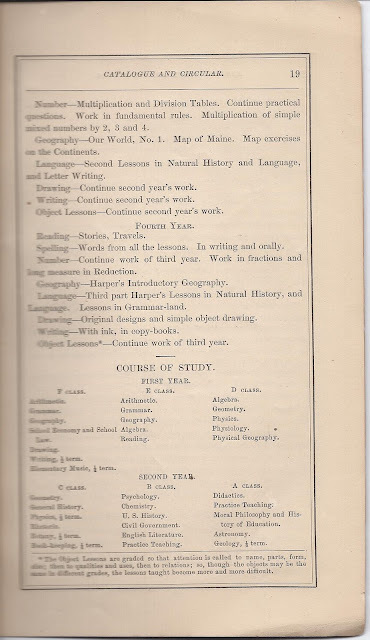 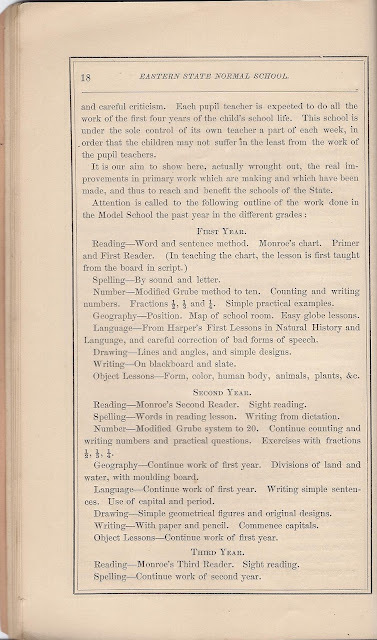 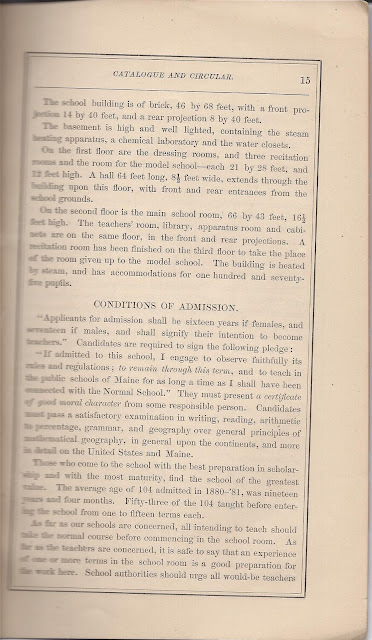 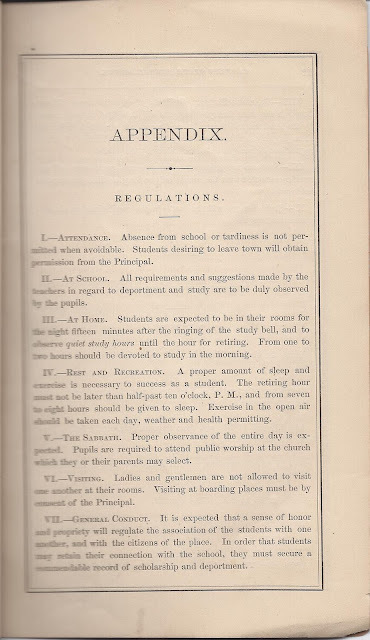 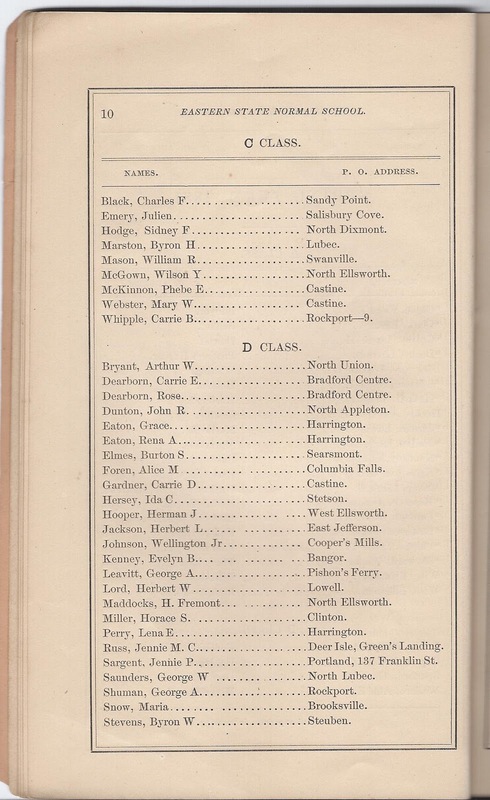 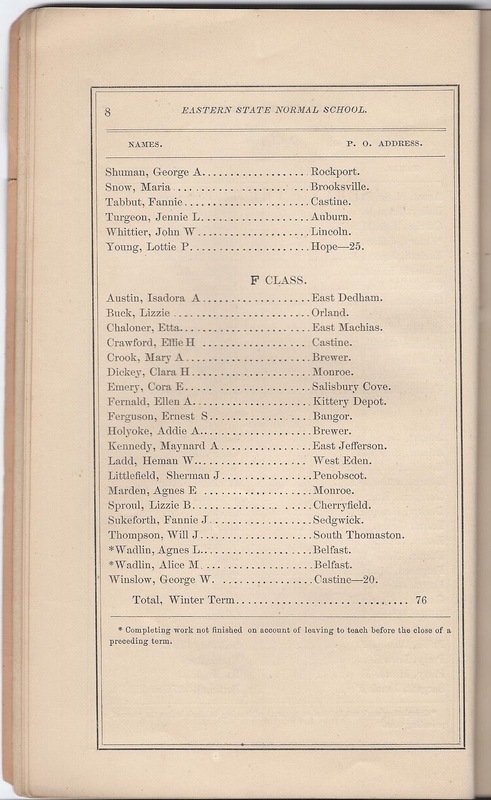 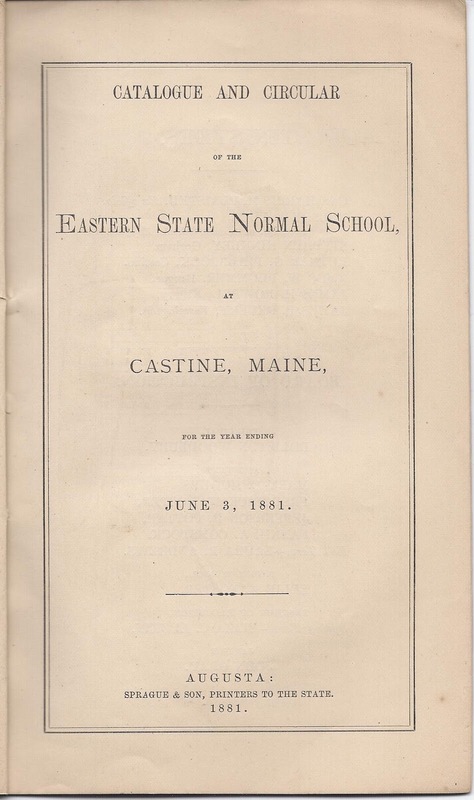 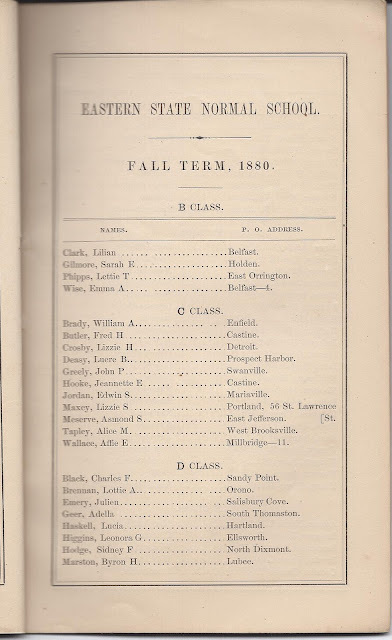 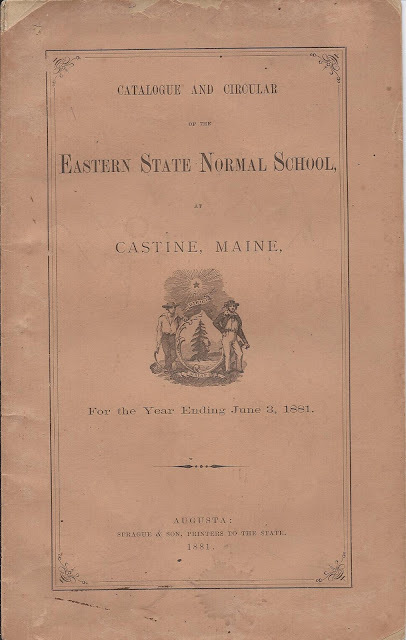 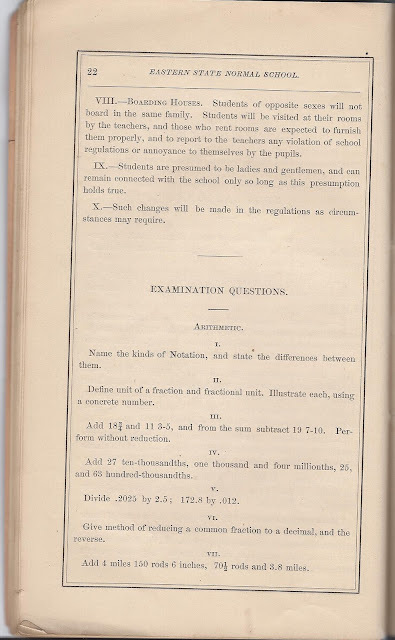 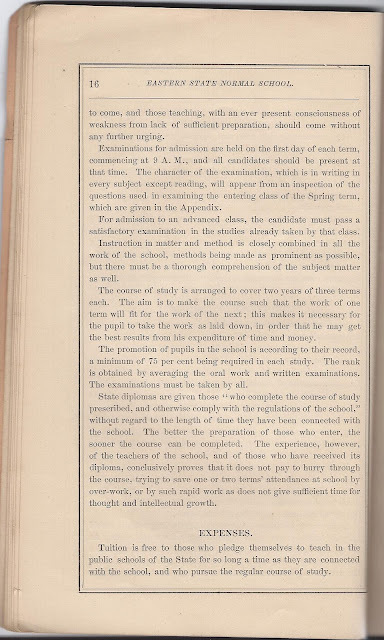 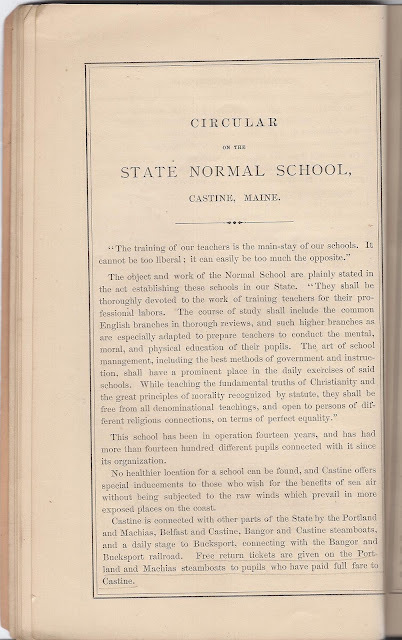 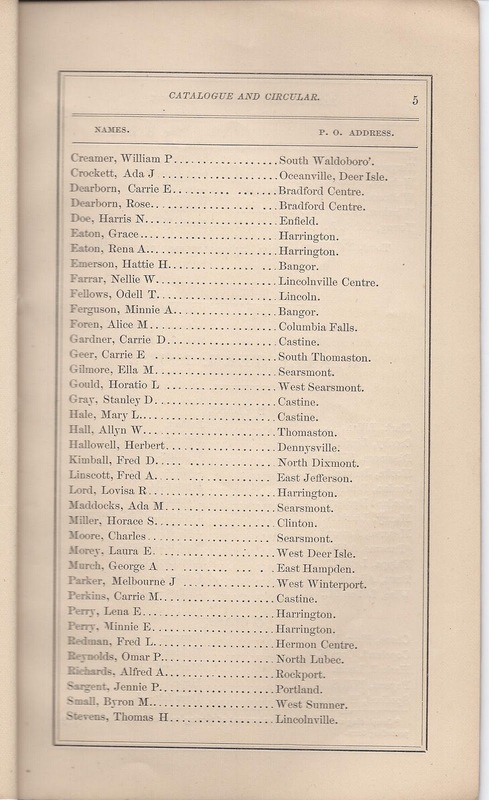 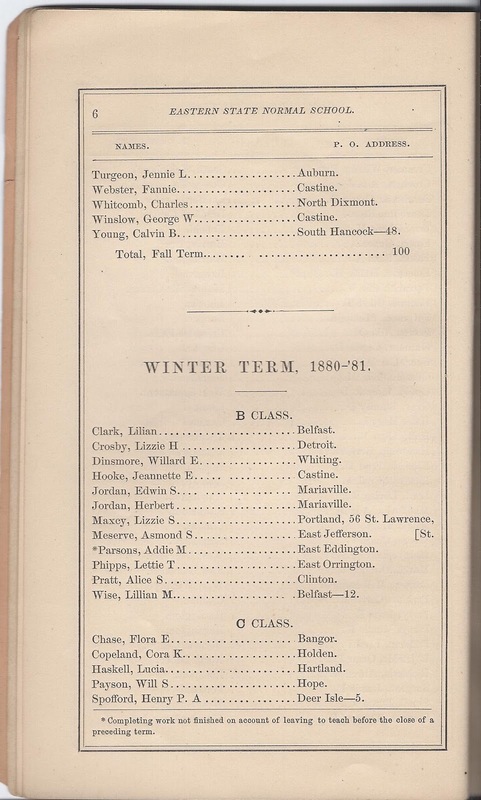 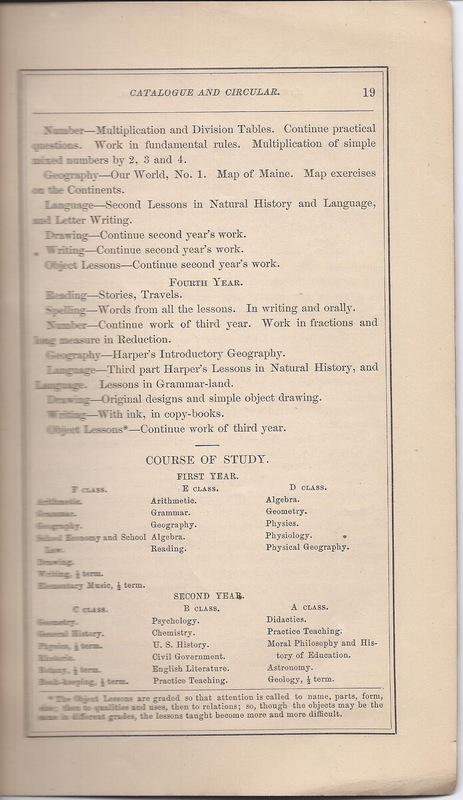 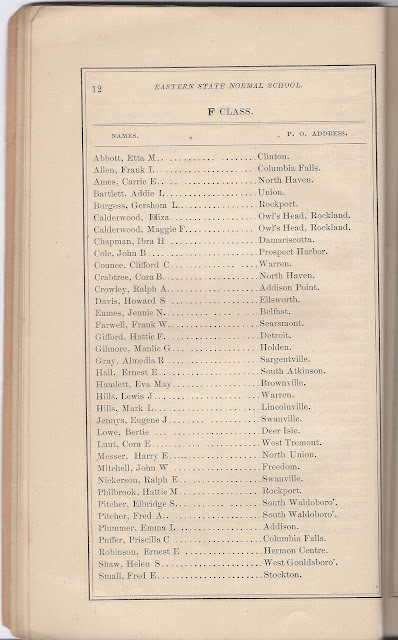 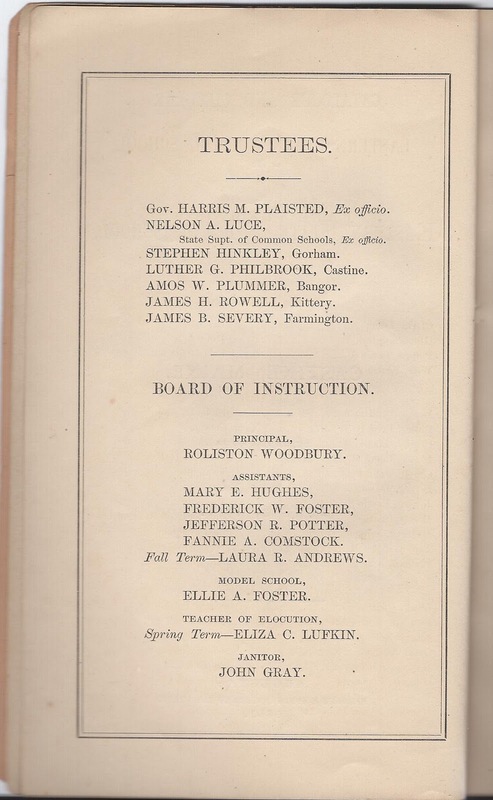 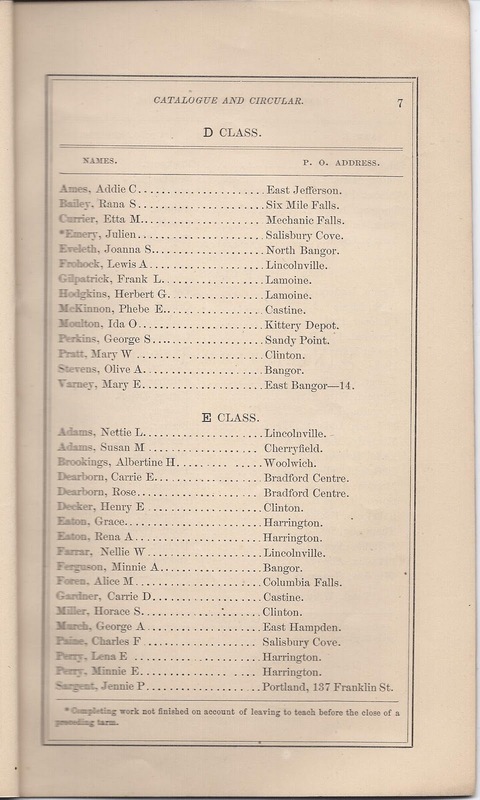 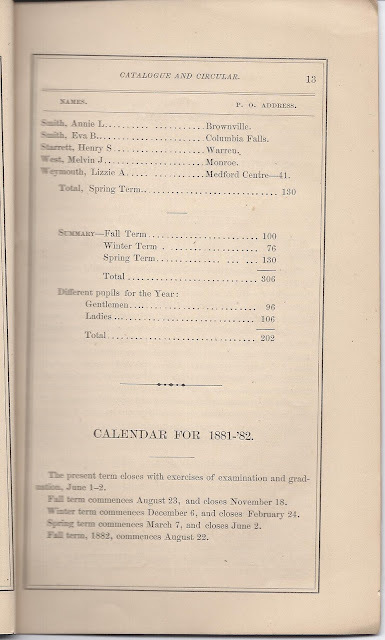 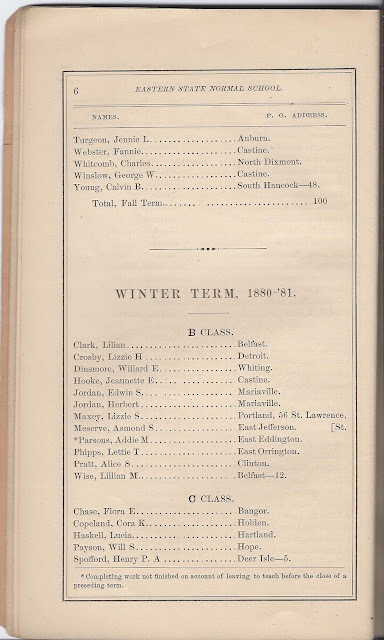 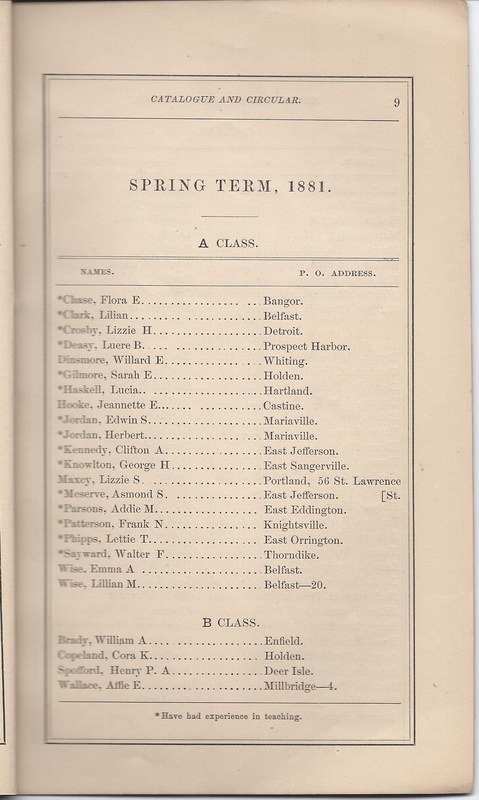 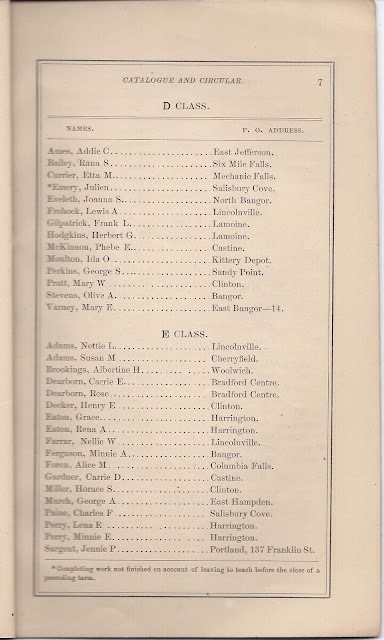 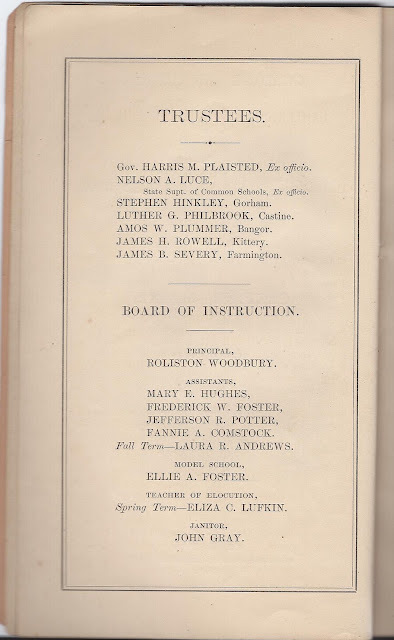 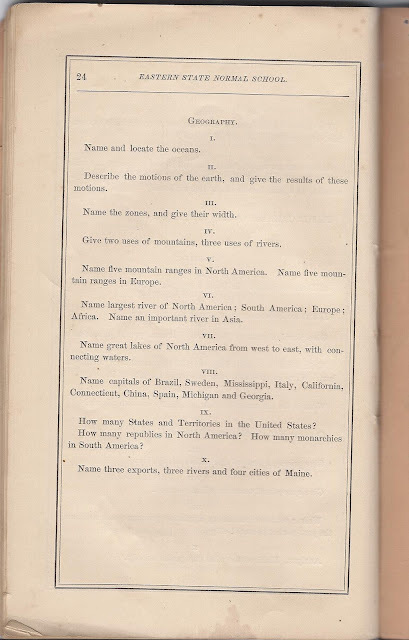 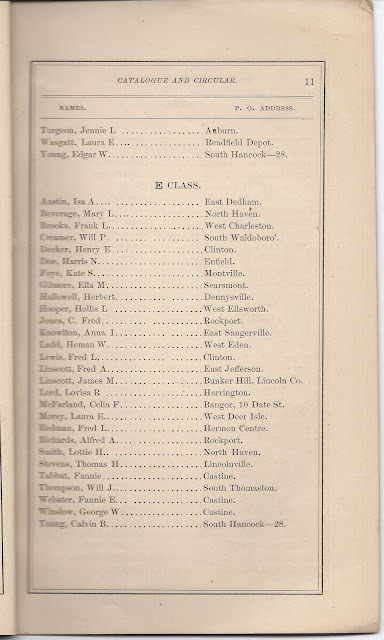 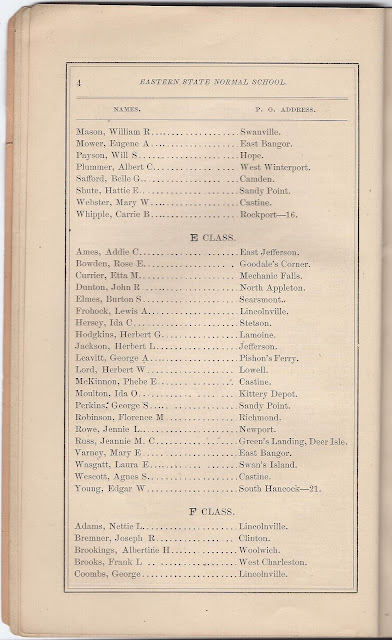 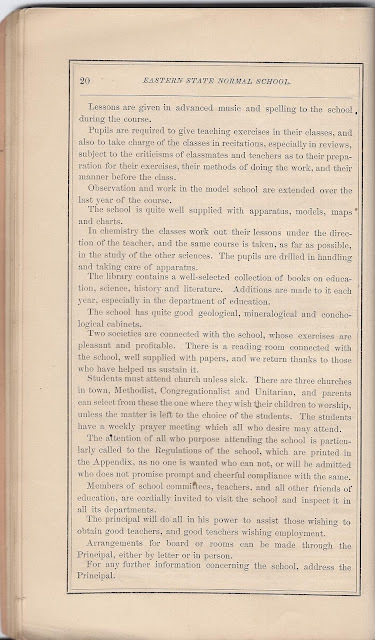 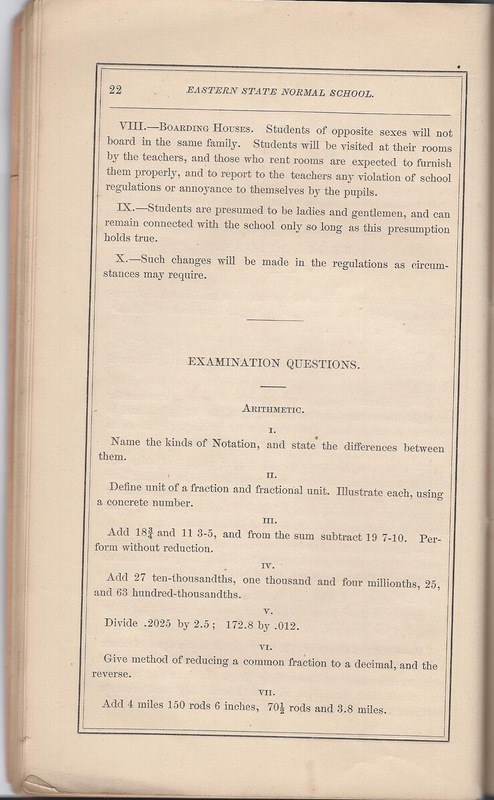 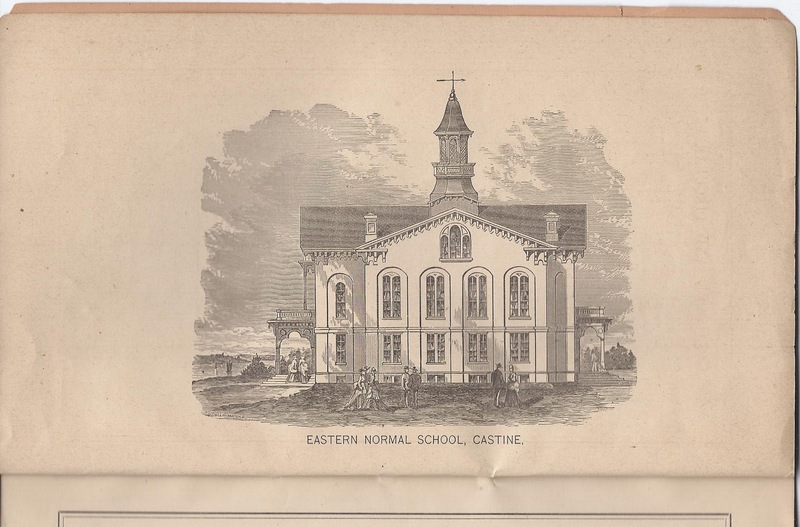 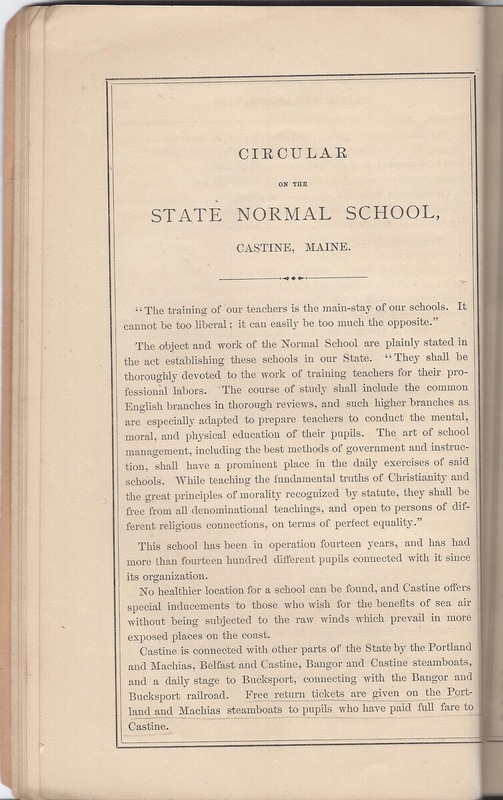 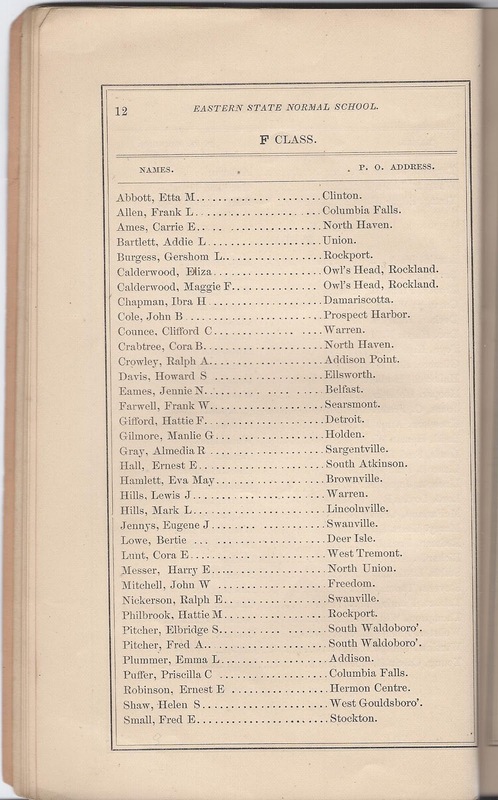 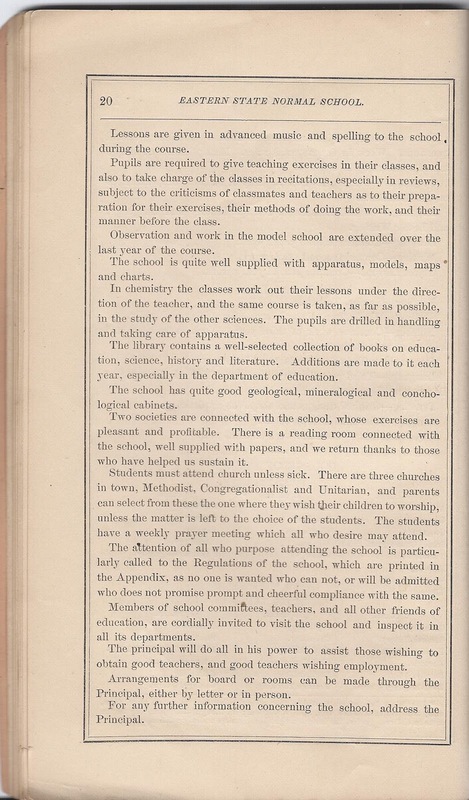 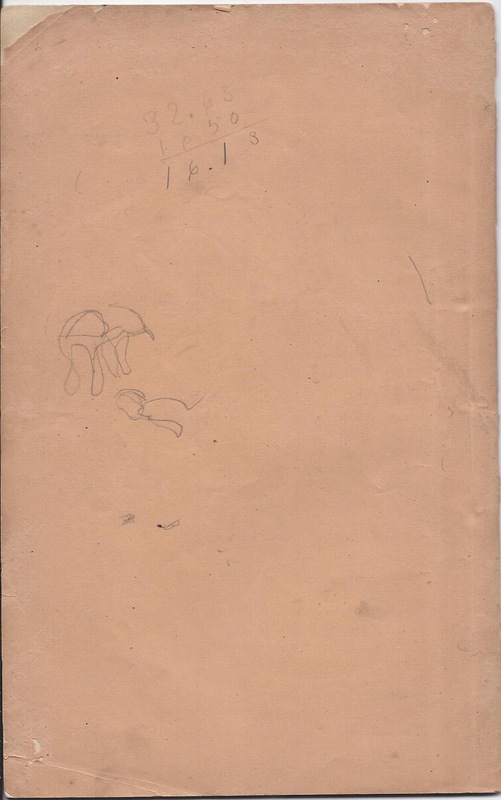 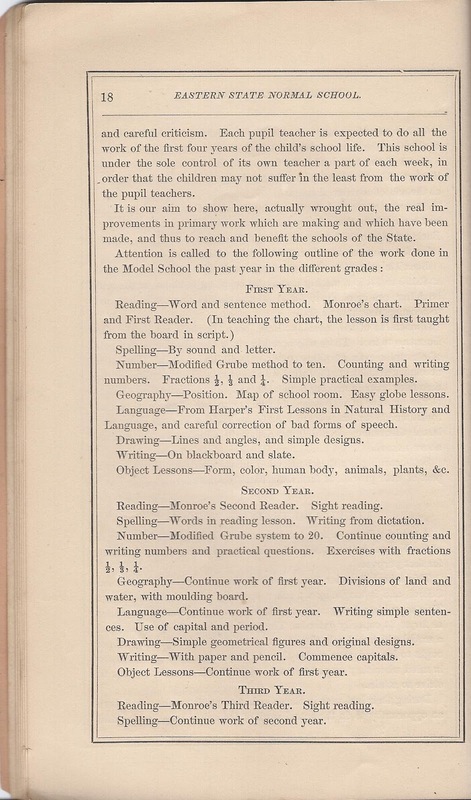 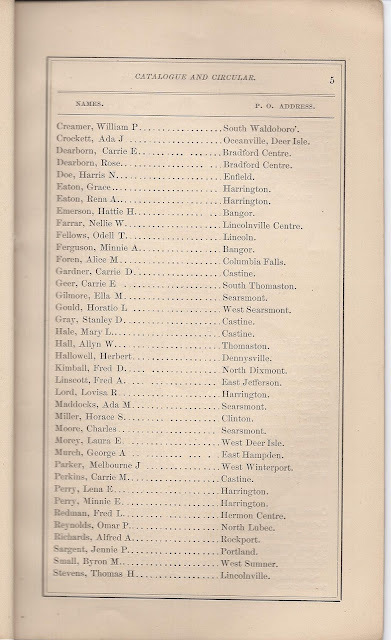 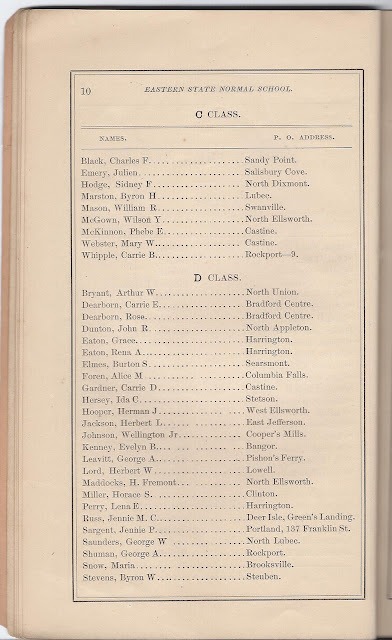 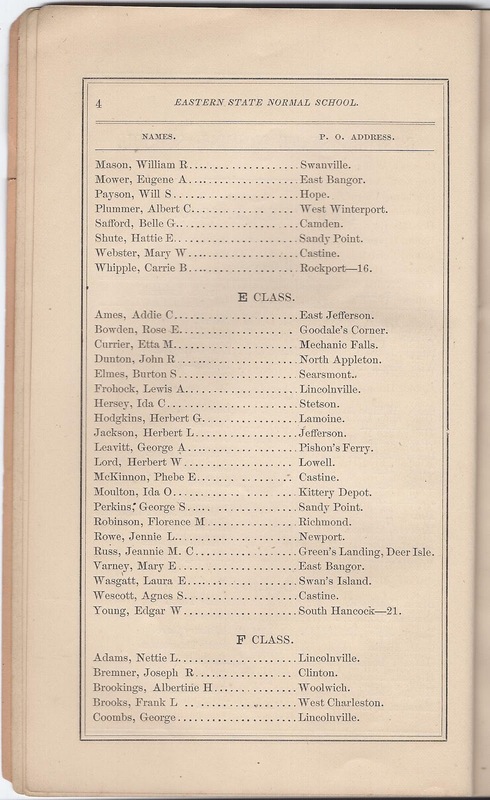 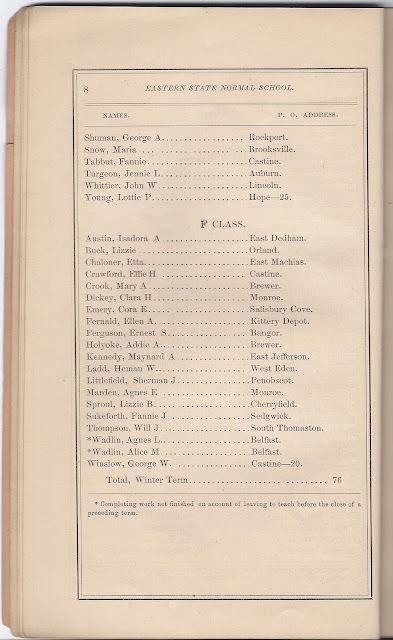 The many names of officials and students and their residences are transcribed beneath the image of each page, below. 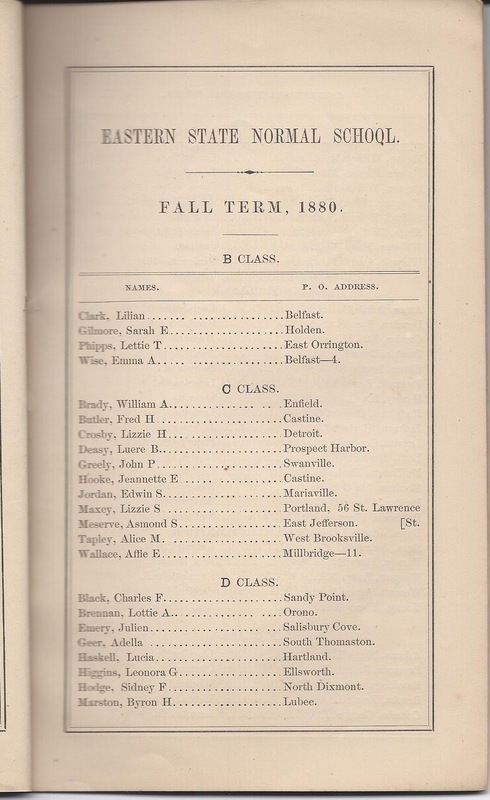 Lizzie S. Maxcy, Portland, 56 Lawrence St.
Lizzie S. Maxcy, Portland, 56 St. Lawrence St.